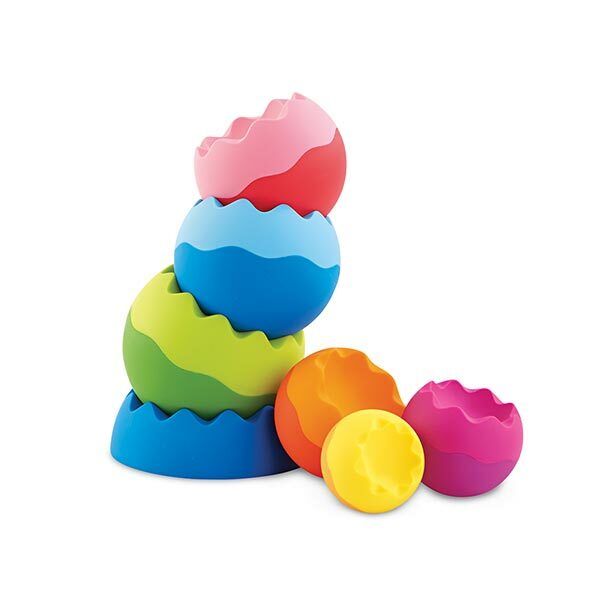 Kids love stacking things and watching them fall. 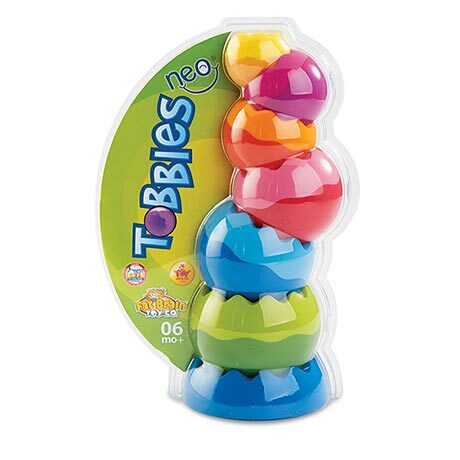 Award-winning Tobbles - a Parents Magazine Toy of the Year - blends physics with good design in weighted, easy-grip pieces that stack, balance, wobble, and spin while building hand-eye coordination and fine motor skills Original Tobbles: ages 24 mos. and up. Tobbles Neo (wavy edges): ages 6 mos. and up.